Michelle Obama had the usual fears of a novice gardener; will these seeds sprout? What if weeds take over or the soil is no good? What if the vegetables are tasteless? Unlike most gardeners, cameras would be pointed at her Swiss chard ready to report the first wilted leaf. 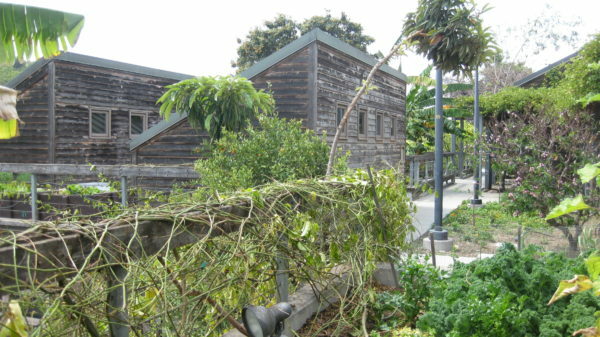 The garden was a response to the eating and lifestyle habits of American youth. One in three children are overweight or obese, elementary school students are being diagnosed with type 2 diabetes, and for many schoolchildren, the only vegetable they eat each day is the iceburg lettuce on their cheeseburger. A flourishing garden with the aim of improving childhood health is an easy enough project to rally behind, and for the most part people did. But, fresh tomatoes are rarely the only reason gardeners pick up a trowel. As you go about planning and planting the White House garden, we respectfully encourage you to recognize the role conventional agriculture plays in the U.S. in feeding the ever-increasing population, contributing to the U.S. economy, and providing a safe and economical food supply. America’s farmers understand crop protection technologies are supported by sound scientific research and innovation. MACA would like us to believe that tending a backyard garden will take time away from advancing medicine and creating art, that a few cucumber plants may be fun but cannot really feed a family. If we do decide to grow a few zucchinis, MACA wants to make sure we douse them in chemicals. 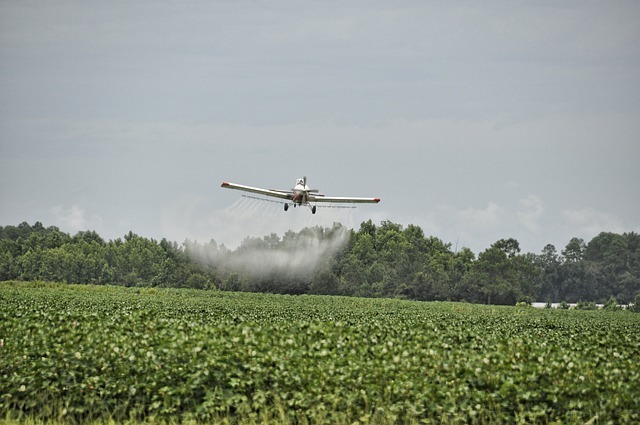 Industrial agriculture relies on large amounts of pesticides, herbicides and fossil fuels. We are intentionally distanced from the source of our food. Images of black and white cows grazing in a green field or of a woman balancing a fruit basket on her head evoke feelings of gentle farms and rich cultural traditions. But, the global food economy is a monster. Food is transported hundreds, even thousands of miles, often to different locations as it is processed into the nutrient-deficient meals we eat. People, animals and the environment are exploited every step of the way. The United States is an agricultural giant. According to the USDA, agriculture contributed $992 billion to the U.S. gross domestic product (GDP) in 2015. Households typically spend about 12% of their income on agricultural products. Enormous amounts of money are being made off of this food system and those making it would prefer the rest us to stay ignorant. At first it seems unlikely that Americans could disrupt industrial agriculture with backyard gardens and small urban plots. But, during World War II that is exactly what they did. With resources being redirected for the war, Americans were encouraged to grow small “victory gardens.” First Lady, Eleanor Roosevelt, planted a small garden at the White House. By 1944 about 20 million victory gardens produced over 40% of the fresh fruits and vegetables consumed in the United States. 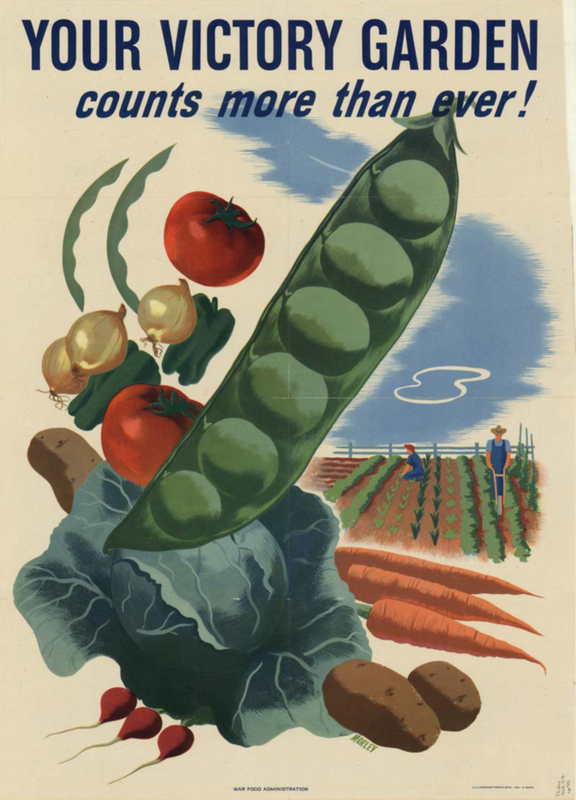 During World War II Americans were encouraged to grow Victory Gardens. It is not just the bottom line that is threatened by backyard gardens, it is control. 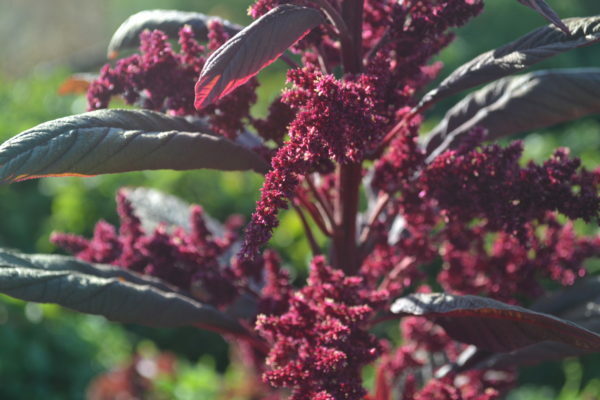 Gardeners don’t stop with kale, they start making their own hot sauce, pickling cucumbers, experimenting with natural dyes and even growing their own fibers and fuel. 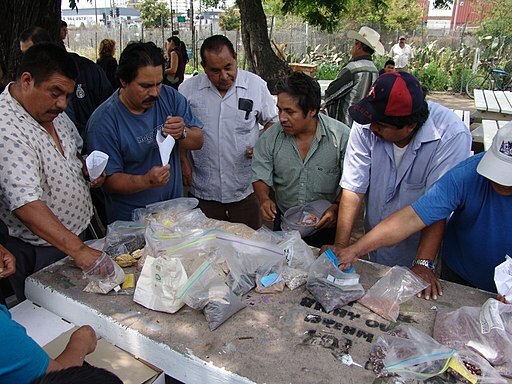 They build compost bins and start rejecting goods that can’t break down in them. They sit with their neighbors to trade pomegranates for backyard chicken eggs. They grow less dependent on global trade and the government, with this self-reliance comes pride. Gardeners are not loyal shoppers, they are loyal neighbors. With the election of Donald Trump came fears that the White House Garden would be buried under a patch of green fescue. These were rational fears: Trump is not concerned with healthy food. This administration treats the environment as something that exists for the benefit of business. Trump is attempting to undo every step of progress the Obamas achieved and Barack Obama even predicted Trump would, “dig up Michelle’s garden.” Furthermore, there is a precedent of incoming presidents undoing additions their predecessors made to the White House. Most notably, one of Ronald Reagan’s first moves was to take down Jimmy Carter’s solar panels. But, the garden stayed. 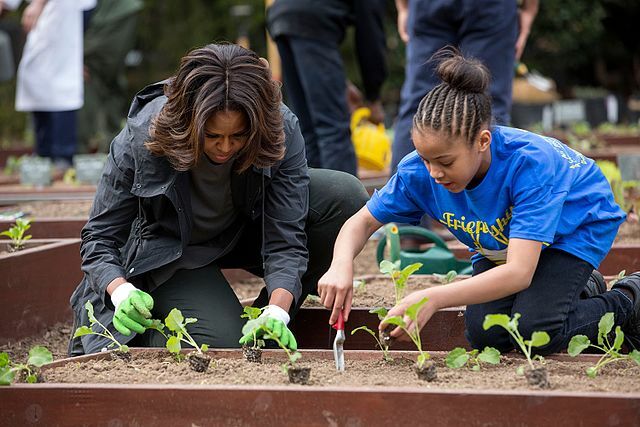 First Lady, Melania Trump, has adopted it and held a Michelle Obama-like event where she gardened with youth from a local Boys and Girls Club. Why isn’t Trump digging up the garden? Towards the end of the Obama presidency, the new president still unknown, Michelle Obama expanded the garden. This included installing permanent steel, concrete and stone structures. She also secured a $2.5 million donation from seed company, Burpee, to make sure taxpayers were not paying for the president’s basil. This would make it difficult to quietly dismantle the garden. Another theory believes that Melania, whose family has agricultural roots in Slovekia, actually feels an affinity for the garden. Neither of these explanations satisfy; Trump does not do things quietly and Melania seems to have comfortably taken to the Midtown Manhattan lifestyle. Americans are becoming increasingly aware and disenchanted with the chain that brings food to their plates. They are angry with the health consequences of eating a diet made up of government subsidized corn products. There is a growing desire to connect with our food, to put our hands in the soil that provides it and feel proud of a tomato picked from the vine. The White House garden symbolizes a new commitment to give our kids healthier choices, to crack our hands and muddy our clothes to do so, to not just consume but to produce. 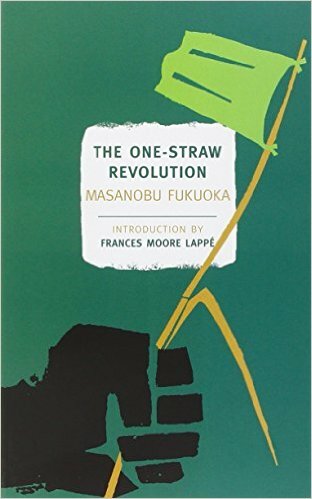 This may be one symbol Trump or any other politician cannot touch, a symbol of the people rerooting themselves in the earth. This time we will not be plowed up so easily. 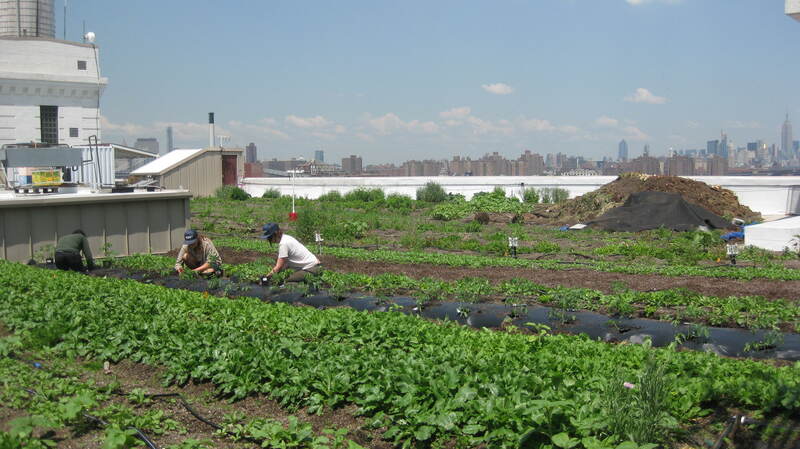 The Brooklyn Grange, a 2.5 acre organic farm in New York, is the world’s largest rooftop soil farm.